Early on in the year is a great time to start seedlings inside for your spring starter plants. Planting your own seeds has a few benefits. For one, it’s fun. 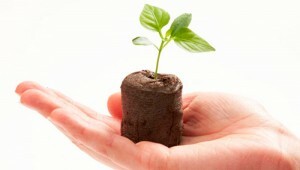 We love to plant little seeds and watch them grow. If you have kids, it’s a great lesson in life and environment. Many of the common vegetables and legumes used in daily food rotation, such as tomatoes, squashes and beans have a much longer growing season than many of the colder climates can allow for. If you start your seedlings early on, you’ll get a head start and be able to put your starter plants in the ground early on, allowing your fruit bearing season to last longer. You can try out more varieties of the same vegetables if you plant your own seeds. Because it’s less expensive than buying starter plants from the nursery, you’ll be able to plant multiples of starter plants for pennies on the dollar. 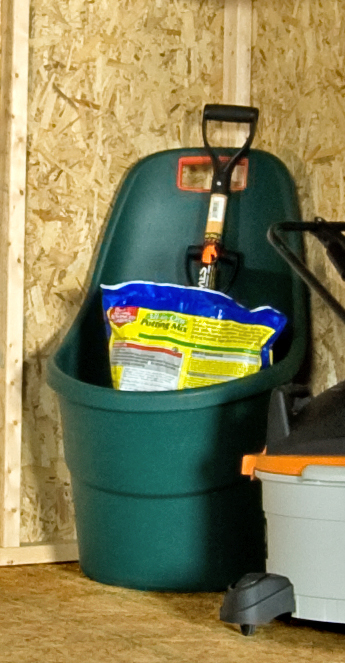 Finally, you’ll be prepared with plants when it comes time to put them in the ground. Planting from seed just makes it all the more cohesive and convenient. 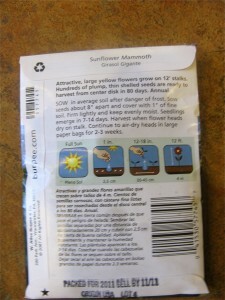 The back of your seed package will tell you everything you need to know! Starting your seedlings is easy. First, identify which growing season comes first and start those seeds first. 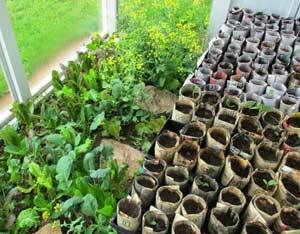 If you plan to utilize multiple growing seasons, you’ll want to organize all your seed pots in a manner that makes it simple to tell which ones are oldest. Make sure you consult the seed package to correlate the length of time needed to grow your seeds into plants before they can be planted outside in their proper growing season. Once you’ve gotten your planting schedule in place, get some containers. Make sure you use proper seedling pots. These can be any variety of seedling planter packages or small growing pots. 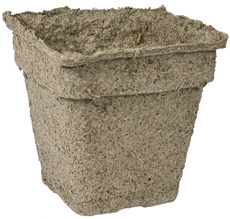 You can use seedling flats, peat pots, small clay or plastic pots or even rolled up newspaper. Just make sure that your pots have drainage. You’ll want to buy starter mix at a plant nursery. It should be good fluffy moist soil. Don’t use soil from the ground. Make sure you buy something that is for seed starting. Your tiny plants will be very delicate. Ensure that you water on a good schedule according to the needs of each plant variety. Use a light mist or a gentle pour watering can. Always water the soil, not the plant, as you can injure your teeny leaves. Make sure your plants are warm enough. Using your shed as a cover will be great. But make sure that your plants are near a sunny window so they can get light and warmth during the day. You’ll want to make sure your plants are heated during especially cold nights, especially during freezes. Ensure that your plants get plenty of light. If you are planting a large amount of seedlings, you may want to consider using artificial light to ensure that all your plants gets lots of light. And again, make sure that your seedlings are near a sunny window. Natural light is always best. Finally, make sure you wait to plant until you know for sure that your weather is going to stay warm. Check your local growing schedule and consult local nurseries to ensure that the ground is warm enough to plant your seedling babies outside. Aaaand, that’s pretty it folks! It’s easy to grow your own food. Using your shed to start seedlings will take you through the birth of your seedlings. You’ll get a head start on gardening. And you’ll be able to try multiple varieties of your favorite veggies all for just a few bucks! This entry was posted in Backyard Landscaping, Gardening Tips, Uncategorized. Bookmark the permalink.